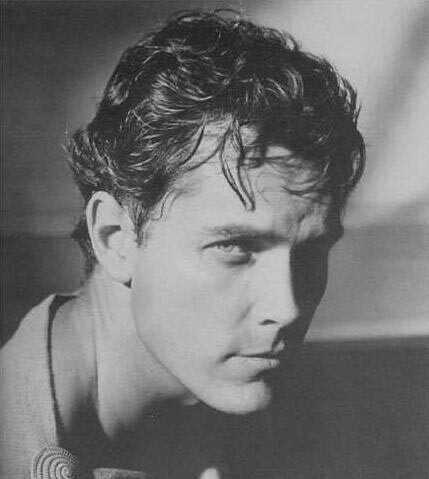 A Tribute to Jeffrey Hunter – Jeffrey (Jeff) Hunter fan site with a biography, photos, articles, movie and TV information, streaming video, radio programs, and more! Welcome to the new jeffreyhunter.net! Please visit the News page for more information about the re-designed site, and for news about site updates and additions. 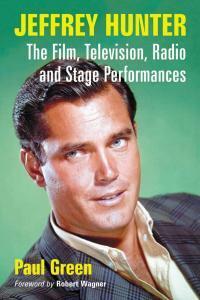 “Jeffrey Hunter: The Film, Television, Radio and Stage Performances“, the long-awaited book by Paul Green with a foreword by Robert Wagner, has been published by McFarland! For more information about the book, see this page. To order a copy signed by the author, contact Paul at pgreen21@verizon.net . 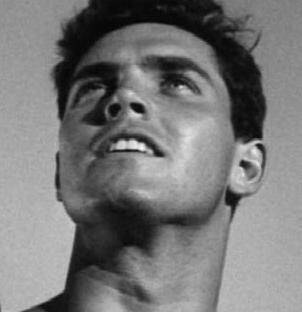 Jeffrey Hunter, born Hank McKinnies, was a fine actor. His career spanned a wide range of roles: from a college frat-boy in Take Care of My Little Girl to a cavalry officer with a conscience in Custer of the West; from a brilliant scientist who drives himself insane in Brainstorm to a high-tech spy in Dimension 5; from a dashing prince of Baghdad in Princess of the Nile to real-life World War II heroes, in Hell to Eternity and The Longest Day, as well as fictional heroes, in Sailor of the King and In Love and War; from cowboys in the Old West – in Gun for a Coward and several other films – to Indian warriors in White Feather and Seven Cities of Gold. He acted opposite some of the greatest screen actors of his day, including John Wayne (in The Searchers) and Spencer Tracy (in The Last Hurrah). He also performed in many 1950’s radio dramas and made numerous appearances on television series, especially during the 1960’s – including a role as a serial killer (!) on the very first episode of the popular series The FBI. He also starred as a frontier lawyer in his own series, Temple Houston, on NBC-TV during the 1963-64 season. Perhaps his most unforgettable role was as Jesus Christ in the film King of Kings, though many fans first discovered Jeffrey Hunter as the iconic first captain of the starship USS Enterprise – Christopher Pike, in the early days of Star Trek. 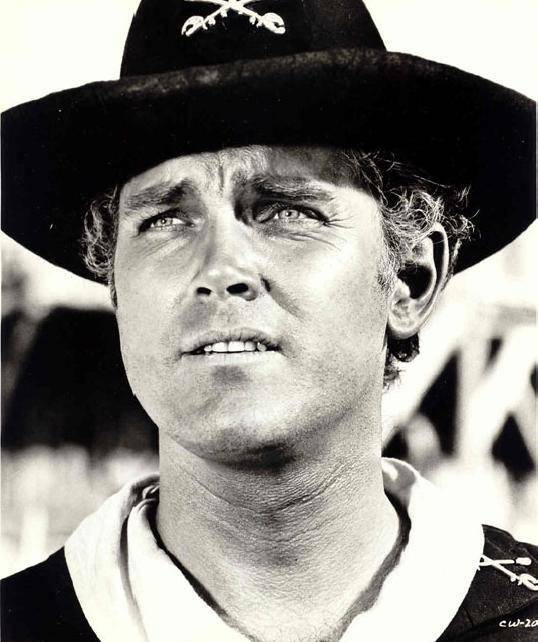 This website is dedicated with love and gratitude to Jeffrey Hunter, whose work as an actor, and whose untimely death in 1969, touched the lives of so many. About Jeff’s Star on the Walk of Fame, including a photo! Material on this website is drawn from advertising sources and intended for entertainment purposes without commercial profit; no copyright infringement is intended. If anyone wishes any material deleted and can prove copyright ownership, said material will be removed. Website designed by Claudia Henry, with content from the original site run by Jim Lalley and Claudia Henry. 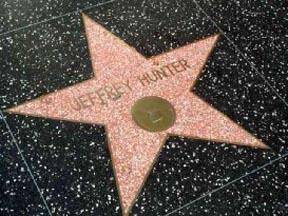 When in LA: Jeffrey Hunter's Star on the Walk Of Fame is located on Hollywood Blvd almost directly across the street from the Chinese Theater. It was placed there as part of the initial installation of stars which began on Feb 8th, 1960 and took 2-3 years.